On this site we will review many sizes of grow tents (see our tabs above), but we find that the 4×4 grow tent is the best combination of size, versatility, and price. 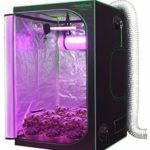 Scroll down further for additional grow tent reviews. 2×2 Grow Tents – The smallest grow tent available, best for those who want to be discreet or lack space. 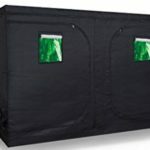 2×4 Grow Tents – Good for small spaces, closets, attics and such. 3×3 Grow Tent – A nice compact grow tent size where this isn’t much room available. 4×4 Grow Tents – The most popular grow tent size – the 4×4 parameters give the perfect amount of space for indoor growing. 4×8 Grow Tents – Now we’re getting bigger, with a modified version of the most popular grow tent size. 6×6 Grow Tents – The 6×6 grow tent is for those with space to spare, ideal in a large attic or basement floor. 8×8 Grow Tents – 8×8 grow tents give a nice amount of breathing space and room for your indoor cannabis. 10×10 Grow Tents – The 10×10 grow tent is the biggest size on the market – essentially a mini-indoors greenhouse. A simple peruse of the market will be enough to tell you that there is a wide variety of grow tents out there. They all differ from one another on the basis of size, features, price, and brand. This makes choosing the best grow tent quite a difficult task. Here are some of the factors you need to consider when selecting a grow tent. The first thing you should choose is the size of your grow tent. This will limit your choices to only include the relevant ones. Decide where you will place the tent and how many plant pots will you keep in it. Measure the area. Only choose those grow tent that is available in your desired size. There are some grow tents out there that are too stunted. Similarly, others feature quite a tall height. Both of these are not advisable. Instead, try to look for a grow tent that is 5 to 7 feet tall. This allows you to follow the lighting and growing system of your plant. Multiple tents or various chambers? If you are a serious indoor grower, the chances are you are planning to grow more than one type of plant. In this case, you will also have to decide if you want to opt for multiple tents or an array of chambers within the same tent. Both perform the same function. It all boils down to how much space you have. No one has the time or the money to buy grow tents every other day. It is best that you look for Grow tents that are known for their durability. Here, customer reviews will be helpful. Moreover, the type of material used and the number of thread counts also gives you a rough idea of the longevity of the product. 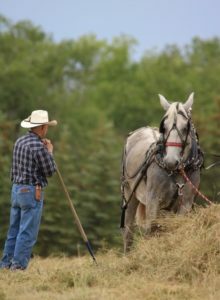 Another important feature for you to consider is the weight capacity. Different grow tents can hold a certain number of equipment. To gain maximum benefit out of a grow tent, ensure that the one you pick has a desirable weight capacity. Ventilation is integral to the growth of your plants. Therefore, make sure that the ducting and cord ports are of quality. They should be able to hold the ventilation systems. The number of ports may also vary. So, you will be required to make the decision about what are the optimal number of ports for you. A grow tent provides an enclosed space for your indoor plants to thrive. They are available in an array of shapes and sizes. However, the basic structure is generally the same. For instance, all of them contain metal poles and attaching fixtures. These components prove to be the foundation of the tent. The next important element of a grow tent is its shell. As a rule of thumb, most manufacturers make the shell from a durable and thick canvas. To make sure that light does not enter the tent, the shell is made to be lightproof. Quality grow tents deliver various access areas. This is essential as it ensures that you are easily able to access the plants and grow trays placed inside. Ventilation features like circular holes and carbon filters are also present to guarantee aeration. Some grow tents take it further up the notch and deliver fixtures as well. These fixtures allow you to hand items to them, whether it be lights or filters. If you hang grow lights on the fixtures, you can alter when your plants receive light. When the light is on, maximum light is received, whereas when they are off, the tent gets completely dark. The interior parts of the tent use a reflective material for the lining. This reflective lining makes sure that each part of the grow tent receives light. One of the key feature present in all grow tents is that they are made to have constant growing conditions. This includes having a consistent level of humidity, temperature, light and carbon dioxide in the tent. Unless you decide to alter these levels, the conditions will remain the same. This makes sure that indoor growing occurs efficiently. Who are Grow Tents Ideal For? If you are an indoor grower, a grow tent is the thing you need. There is no further classification. This is because they can be easily moved from one place to another and are easy to set up. Both these features make them an ideal solution for all indoor growers. Moreover, they do not take up a lot of space. One of the things that you are constrained on in indoor growing is space. Therefore, this feature is lauded by all. If you wish to indulge in cannabis growing, the inclusion of carbon filters makes such grow tents ideal. This is because they are subtle and do not create a lot of odor. If you are still not convinced about getting a grow tent, here are a few benefits that might change your mind. An Indoor Growing Solution– Rather than being dependent on mother nature, you make all the calls. This is necessary for growing quality marijuana. The various marijuana grow tents available allow you to grow the plant without making a mess. This is because the tent is big enough for you to store both the plants and the equipment. The grow lights will not annoy you either since they will be within the tent. Enhanced Portability – Grow tents are known to be lightweight. This makes moving them around the house a piece of cake. Moreover, if you invest in a fold-up tent, this benefit is also extended to transporting it to other locations. Versatile Usage – Grow tents are ideal for all types of plants. You can use it for various purposes. 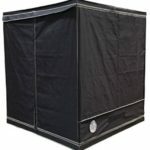 This includes turning it into a hydroponic grow tent, marijuana grow tent, seedling grow tent and a cloning grow tent. Say No to Pests – One of the problems most growers experience is the invasion of pests. 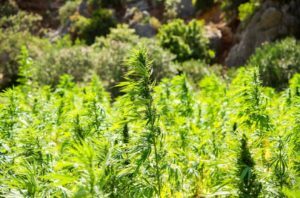 Such instances are highly likely in outdoor growing. However, if you use grow tents, the probability of a pest invasion decreases. Such protection is not limited to pests. Instead, you can also protect your plant from pets and toxic contaminants. Less Resource Wastage – Most grow tents are constructed keeping energy efficiency as one of the priorities. This is why manufacturers have constructed the products keeping in mind the need for efficiency and performance. The enclosed nature of the products helps in conserving energy and making most from less. Maximum Lighting – The use of heat-resistant and reflective linings in grow tents allow the products to enhance the effect of grow lights to the maximum. The reflective nature makes sure that the plants receive light from all directions. Reduces Smell – You wouldn’t want your house to smell like weed, now would you? The use of grow tents allows you to avoid this problem. This is because they are able to confine all types of odor within the grow tents. You can also add carbon filters to the tent to further minimize the smell of the plants. Are you tired of the amount of effort it takes to keep your plants healthy? If so, an indoor Grow tent will be a source of massive convenience for you. These Grow tents are used for hydroponic gardens. 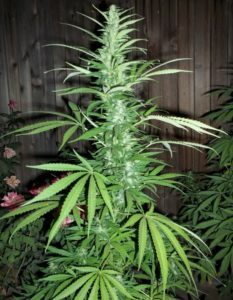 Whether you opt for the best marijuana Grow tents or some other variant, you are bound to find it a beneficial solution. Why? Well, these tents make indoor plant growing a piece of cake. Not only do you save up space, but the time and energy you invest in growing plants are also reduced. 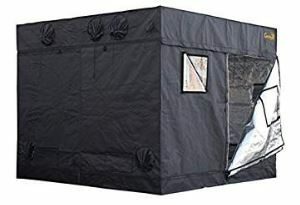 Moreover, the fact that most plants, including cannabis, tend to grow and develop better inside grow tents have made such products a worthy purchase. This benefit is achieved by the consistent condition that is delivered through the grow tent. The fact that you can use them for growing marijuana, hydroponic, as well as germination allows the grow tent to satisfy the needs of the masses. Begin by cleaning the spot you plan on placing the tent at. After doing so, construct the tent on the location you want to place it. This ensures that you don’t end up with a tent that doesn’t go through the doorway of your house. You can use the manual included in products to set up the tent. Pick a grow light of your choice. There are quite a few in the market and hence you will be required to make an effort and select wisely. After you have selected one, it is time to hang it. Do so with rope ratchets since this is the easiest and cheapest way of all. Rope ratchets are easily available and make it easy for you to adjust the grow lights. Some of them also allow you to move the light up and down. After hanging the grow lights, it is time to hang the exhaust fan. This is a crucial part of the process because it governs the quality of your ventilation system. Hanging an exhaust fan inside the tent makes sure that the sound of the fan does not escape the tent, while simultaneously delivering the aeration needed. The best ventilation results are found in grow tents that feature removable vents at the bottom. This allows fresh air to enter the tent. Now, this step is not necessary. Instead, it is up to you to decide whether or not you want a carbon filter in your grow tent. We would advise you to have one. This is because they remove any odor that may persist in the tent. Again, a rope ratchet is the best tool for hanging carbon filters inside the grow tent. Also, ensure that the line from the carbon filter to the fan is air-tight. This would guarantee that no smell leaves the tent. In case you have an air-cooled hood, you can connect the filter to the light and then to the exhaust fan. This is the complete package. The exhaust system you create by doing so allows you to cool the light and prevent the prevalence of odor, all in one. How you choose to connect the carbon filter is your decision. One thing you need to make sure is that all the air that leaves the tent should go through the filter. This is needed for cannabis growing. Weed tends to smell a lot. This is why it is integral for you to keep the grow tent closed and operate the fans at all times. This has one flaw. When you eventually open the door of the tent, the smell would come out of the tent. You might want to use ONA gel to deal with this issue. Or you can set the carbon filter in the room rather than the tent. Or you can use an exhaust fan that sits on the floor and attaches it to the carbon filter to reduce the smell. This process will also reduce the odor in no time. By this point, all the basics are covered. Now, it is time to check the technicalities to make sure that the grow tent is able to deliver superior performance. Check how much sound is being exhibited by the fans. Is it enough to annoy you? If so, you might want to consider hanging the fans rather than having them placed on something. Also, clean them regularly to avoid exuberant noise. Sometimes water pumps are also noisy. To deal with this, try and place them on something rather than the ground. A possible solution could be putting them on a wood. This will help in reducing the vibrations. Any light or odor that leaves the grow tent is undermining the purpose of the grow tent. Therefore, it is important to test the light and smell and ensure that neither leaves the walls of the tent. The best way to check this is to turn on the light and the fan after you have set up the tent. Check the sides of the tent. They should bow inward when the fan is on. This bowing suggests that the fan is creating a negative pressure. The pressure translates into the fan’s ability to prevent leakage of smells. Also, make sure that the carbon filters are well attached to the fan. This further enhances the prevention of odor. This is because carbon filters scrub off all the odor from the air and make sure that the air that comes out of the exhaust is as fresh as possible. Apart from this, take a walk around the house. Do you hear a faint sound of the fan? Does the noise seem odd or annoying? This exercise will allow you to determine whether the noise level of the fan is bearable or suspicious. If you are afraid of having your neighbors hear what you are doing, take a walk around your house and see if the noise of the fan is noticeable. Moreover, see if any window of your house is showcasing a suspicious looking light. If it is, it is time to change the location of the grow tent. Before you start using the grow tent for indoor growing, take a look around the inside of the grow tent. At this point, everything should be well fitted and secured. All electronics should be off the ground to avoid any undesirable outcomes in case of water spillage. One way to remain safe is to keep all electronics present within the grow tent above the waist. Similarly, anything that is used with water should be placed below the waist. This allows you to put the two far apart. No cords should be left hanging around. Wrap them up and secure them in place to avoid accidents. Everything is set. Now it is time to replicate the perfect environment. A grow tent makes this very easy. After all, it is known for its ability to aid in a re-creation of natural yet ideal conditions. This is one of the reasons why the products are used for growing cannabis. Cannabis can only thrive in ideal conditions and a grow tent succeeds in delivering such conditions. Creating the perfect environment from scratch will not be easy. However, this doesn’t mean that it can’t be done. It will require a lot of effort and DIY from your side. You might feel overwhelmed with the process. This is why a grow tent is the perfect alternative. It lets you reap the benefits of having the perfect condition without making an effort. Here are some ways how a grow tent quickly creates the perfect environment. You can add maximum grow lights, as per your requirement. Since grow tents are equipped with reflective walls, these grow light deliver the correct amount of light to your plant. Common grow equipment can be easily placed in the tent. Whether it be to adjust the lights or hang the equipment, all of it is very easy to do in a Grow tent. The light-proof nature of the grow tent renders the instances of light leakage impossible. This provides the perfect lighting condition for plants like cannabis. This is because such plants require complete darkness at night. The light-proof material of the tent eliminates light spillage as well as leakage. This is much better than manually creating a lightproof environment. The grow tents are easy to clean and are waterproof. This makes them a convenient purchase. After all, you don’t want your house to have a mess or a room full of puddles. All the water remains within the tent. The walls and the floor of the tent are quite easy to clean, further enhancing the convenience delivered. The grow tents are designed for optimum airflow. Recreating this airflow in a natural environment can be tricky. This is achieved by the sealed feature of the tent. The sealed tent along with the inclusion of vents and air ports make the ventilation system of the Grow tent optimal. The circulation of air flow in grow tents is swift. Yet, the plants receive the required amount of carbon dioxide. No odor is leaked from the tent as a result of the carbon filter. In a DIY situation, this is very hard to do. This is because a carbon filter works best in an enclosed space. Grow tents are bound to make your life easy and the health of your cannabis plants better. All those of you who are interested in indoor marijuana growing, you must equip yourself with a grow tent. Choose the best in the market. Enjoy the various benefits that come with it. 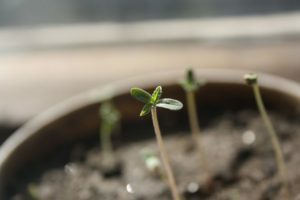 We do have a warning for all indoor weed growers that are likely reading our Grow Tent Experts blog. It is important to keep in mind the following: Obviously if you are growing cannabis indoors, you are using soil in addition to a hydroponic system. This allows for vibrant plants to grow indoors. 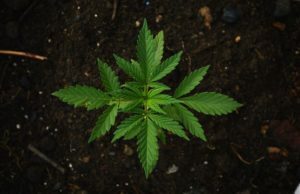 However, there is one error that many indoor growers make: they try to inject and grossly increase the amount of nutrients into their indoor plants. We strongly advise against this! It is important to keep in mind that when growing weed indoors, there needs to be moderation. Just because this or that nutrient is known to help plants blossom and grow to bigger sizes, does not mean you should use it, especially in combination with other nutrients! There is one rule with plants: they only ingest what is required for them to grow. IE soil and water. Sure, there are nutrients out there which are conducive to cannbis growing indoors and in grow tents. But please make sure not to go crazy and inject your plant with tons of cannabis nutrients. This means that if you add 25 extra units of nitrogen into your soil, you will waste about 20 of them, because your small cannabis plant growing in your 4×4 grow tent will only require about 5 units of nitrogen to grow! This can cause nutrient deficiencies, which then exacerbates the problem. If you did already add too many nutrients to your marijuana plant, then we recommend that you execute a flush. Simply add clean water to saturate it, then add some fertilizer (ideally organic versions here), and then leave the plant untouched for 3 days. This flush should save your cannabis plant from nutrient issues. Best of luck!